• Equal opportunity through quality public education, healthcare and social housing. According to Napoleon Bonaparte “The world suffers a lot. Not because of the violence of bad people, but because of the silence of good people.” We at Youth Party also believe that not only do good people like you far outnumber the crop of bad leaders we have had but you also possess the power to change our fortunes for good. With only days to the General Election which is a referendum on our future, we urge you to collect your PVCs, vote rightly, secure your votes and activate this power. Action breeds results, and together we can Shape the Future!!! If you are yet to collect your PVC, click here to locate it at your polling unit. 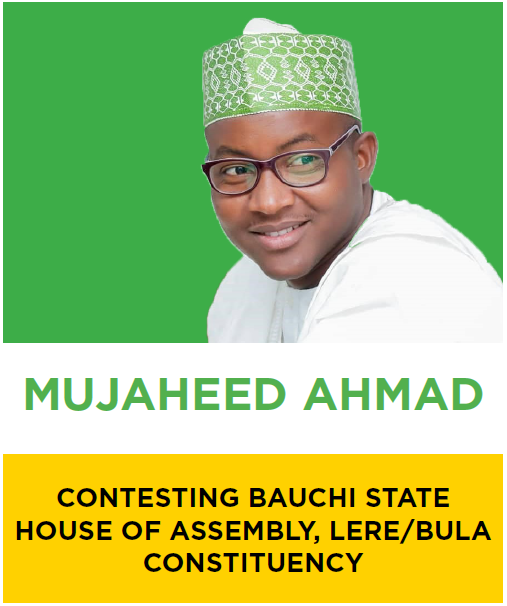 Mr. Mujaheed Salisu Ahmad is the flagbearer of Youth Party, Lere/Bula Constituency, Bauchi State House of Assembly. 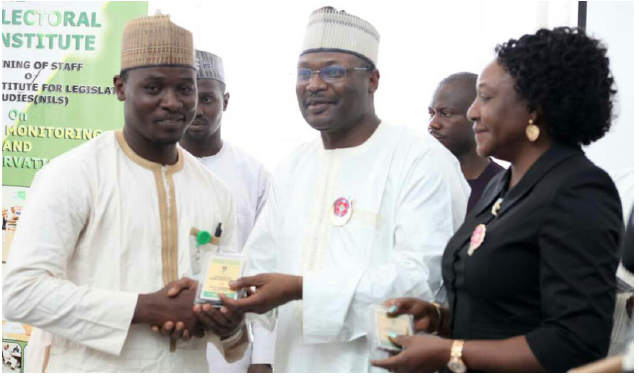 He’s a 29 year old graduate of Urban and Regional Planning from Abubakar Tafawa Balewa University, Bauchi State. He also holds a Post-Graduate Diploma in Environmental Management Technology from the same university. During his student days in the university, he was involved in a number of student political activities. 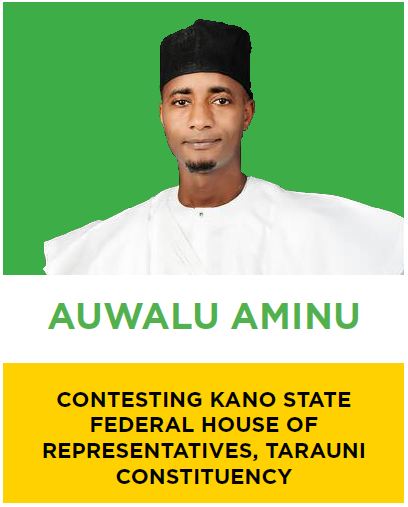 In 2013/2014, he served as the chairman of the National Electoral Committee for the convention of the National Union of Bauchi State Students (NUBASS) among several other roles. If elected, Mujaheed intends to vibrantly push for progressive legislation that seek to develop an equitable society and the advancement of humanity through quality basic education and universal health care as minimum requirements for societal development. Mujaheed’s aspirations for his people resonates deeply with our Party’s working ideology for the good of Nigerians and as such, we endorse his candidacy as one that will benefit the people of his constituency and #ShapeTheFuture of Nigeria. 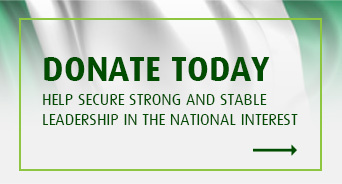 Please send the newsletter to five other people who are interested in shaping the future of Nigeria and click the button below to join the movement. If you are just joining us, welcome to the weekly Youth Party Digest, where we update you on all the latest Youth Party news and political happenings. The 2019 General Election is almost here and we hope you all are armed with your PVCs and ready to #ShapeTheFuture!!! without doing the needful, which is voting for credible and competent leaders. Don’t just go out to vote, encourage others to do so too. Action breeds results, and together we can Shape the Future!!! 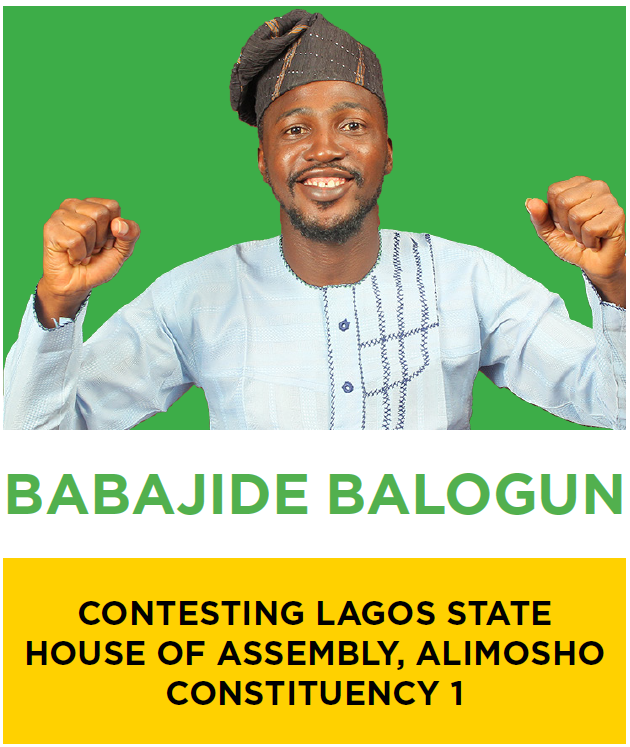 Mr. Balogun Adeola Moshood Balogun (BAMB) is the flagbearer of YP, Alimosho Constituency 1, Lagos State House of Assembly. He is a 25 year old graduate of Political Science from the University of Lagos. Jide is a young, vibrant and selfless service crusader. He is passionate about equal opportunities for all to quality public basic education, healthcare and social housing. In his words, “I have an insatiable thirst for selfless public service and I believe that service to others is the rent you pay for your room here on earth”. volunteer and adviser in his student days in the university. Jide is a new tribe of politicians we know would shape the future of our dreams. Join the #BAMB campaign movement via volunteering or financially by donating to the account below. 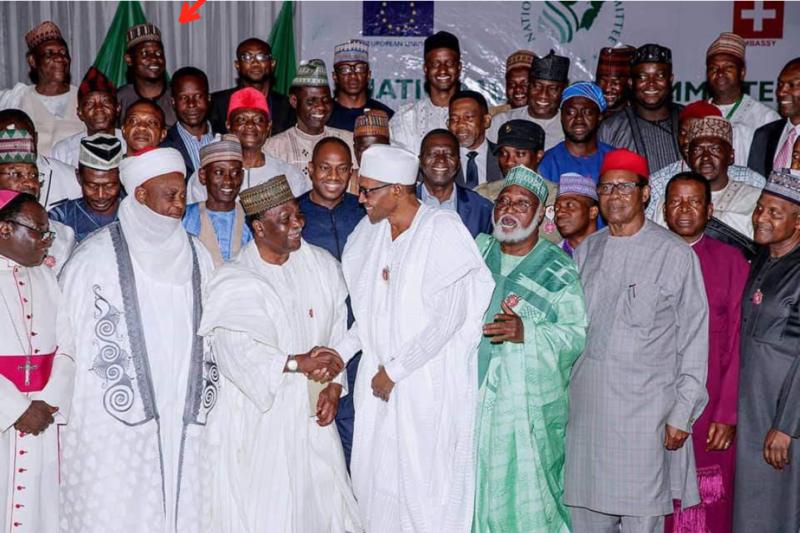 Suleiman Yusuf, the YP Chair, signed the Peace Accord , an undertaking by parties to ensure peace and rancour free campaigns before, during and after the 2019 election. The event took place on Tuesday, 11th December,2018, in Abuja. 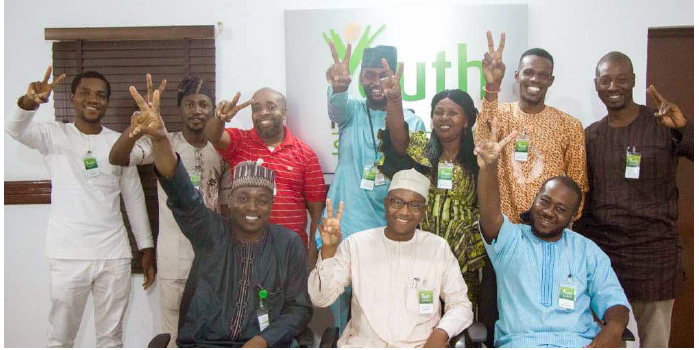 The Youth Party, a political party recently registered by the Independent National Electoral Commission (INEC), is set to conduct its Primary Elections in preparation for the 2019 general elections. The Party’s National Organising Secretary, Mr. Olusegun Adeniyi, announced that in conformity with the INEC Guidelines on the conduct of party primaries, the Youth Party’s National Executive Committee (NEC) has issued guidelines for the conduct of the Party’s primaries. 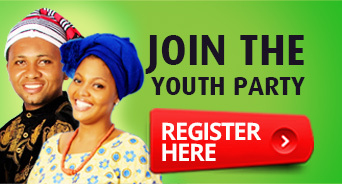 Also read Youth Party Primary Election Guidelines by clicking the link below. 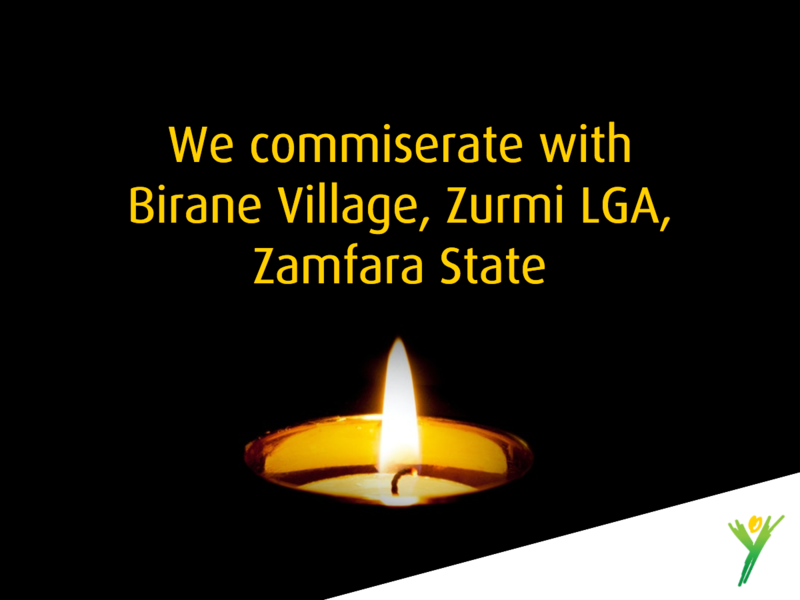 We at Youth Party send our condolences to the people of Zamfara State in particular, and the entire Nation in general over the loss of 18 lives in an attack by yet unapprehended gunmen in Birane village in Zurmi Local Government area of the State. The Public Relations Office of the state’s police command, Deputy Superintendent of Police Muhammad Shehu, confirmed this saddening development on Thursday. These wanton attacks have gone largely unchecked by the security agencies and the government, who have looked on, seemingly helpless to check these herdsmen and anyone trying to foment trouble. Various proposals have been suggested as a way of quelling these attacks, but they must be actualised as soon as possible to bring peace to the land. Security agencies must intensify efforts at apprehending the perpetrators, while being proactive in preventing such attacks. Without peace, growth and development is nigh impossible for any community or country. For too long, this country has suffered from the ills of terrorism and violence, especially in the north, whether it be Boko Haram or herdsmen/farming community clashes. This situation cannot be allowed to continue. It is the responsibility of any government to provide security for all of its citizens. Every single Nigerian life is valuable and should always be protected by the might of the State. No more lives should be lost to terror of any kind. The Youth Party calls on the Federal Government to take concrete steps to combat this menace of terrorism and violence and put a definite stop to it. The longer it is allowed to fester, the worse off we are as a nation. A lasting solution must be found. Our thoughts and prayers are with those who have lost loved ones and properties in the attacks.